​Amsterdam might be the main attraction for many when it comes to visiting the Netherlands but after spending 3 days in Amsterdam we were ready to see what else the country had to offer. Since the Netherlands is quite small you can easily and quickly visit a nearby city all you need to do is purchase the Amsterdam & Region Travel Ticket in addition to your I amsterdam City Card. This will grant you admission in to the main attractions in these cities. So explore and enjoy these 4 easy day trips from Amsterdam. Dreaming of windmills? Zaanse Sanchs is the perfect place to turn your dreams into reality. You can get to Zaanse Sanchs in about 30-45 minutes by taking the train or bus from Amsterdam’s Central Station. Once you’ve arrived use your I amsterdam City Card to grant you admission into the windmills where you can climb all the way to the top and if the wind picks up you can see it spinning. 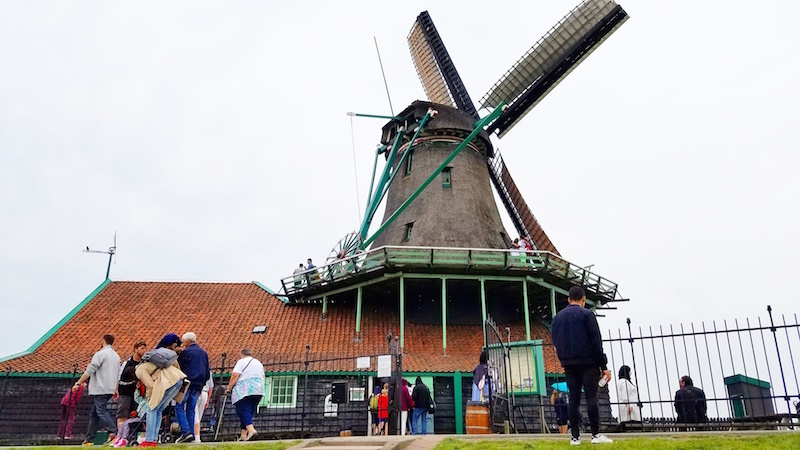 ​Zaanse Sanchs also offer a replica traditional cheese farm where you can watch a demonstration of how cheese was made and try any type of cheese you can think of. 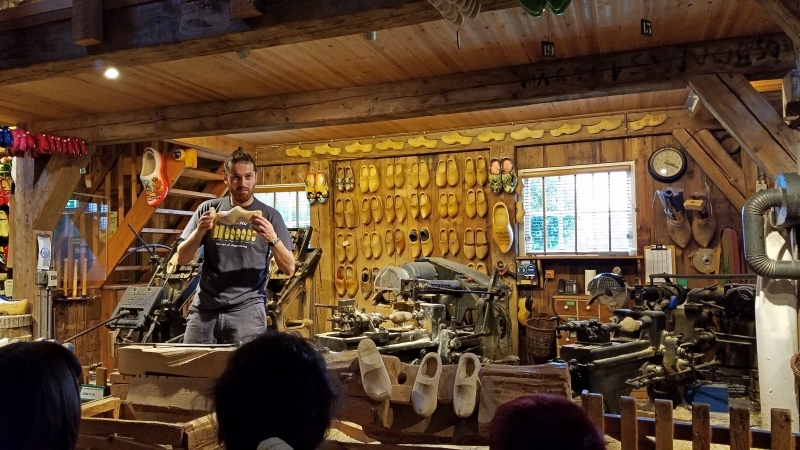 ​Stop at Klompenmakerji, a wooden shoe work show in Zaanse Sanchs to see a free demonstration of clogs being made. There is a wall of hundreds of different designs of clogs that you can purchase to take home. Want to get out of the city and explore the country side of the Netherlands? Voldenam & Marken are where you need to be. While they are two different cities you can visit both in one day and the ferry from one to the other is included in your I amsterdam City Card. ​In Voldendam visit the Voldendam Museum and eat! There are so many mom and pop restaurants and food stands in Voldendam. Seafood is in abundance as the city is on the water. There is even a beach so if it’s hot take a quick dip or put your toes in. From Voldendam you can take the ferry over to Marken, it takes about 15 minutes. The ferry is also included in the I amsterdam City Card. Marken stole my heart, it is the cutest little fisherman’s town. You can rent bikes and ride around or take a nice stroll. 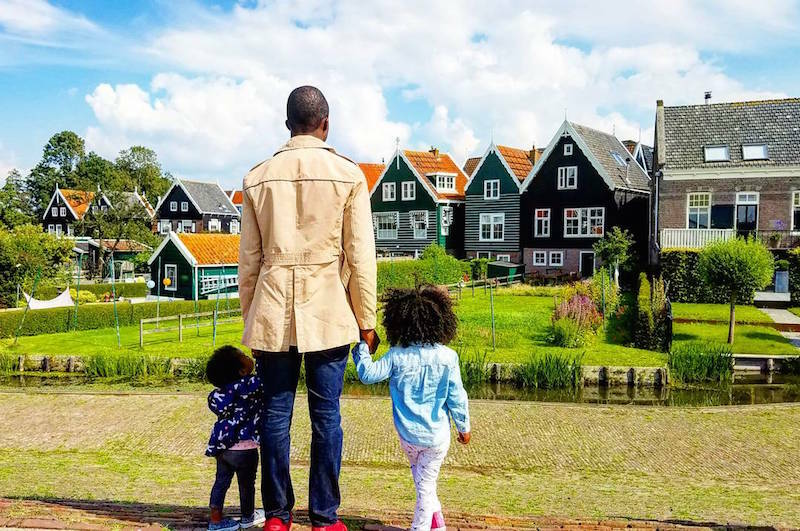 We loved admiring the architecture of the homes and it’s a beautiful place to get some fresh air and be away from the hustle and bustle of Amsterdam. Rotterdam is a quick 40 minute train ride from Amsterdam. 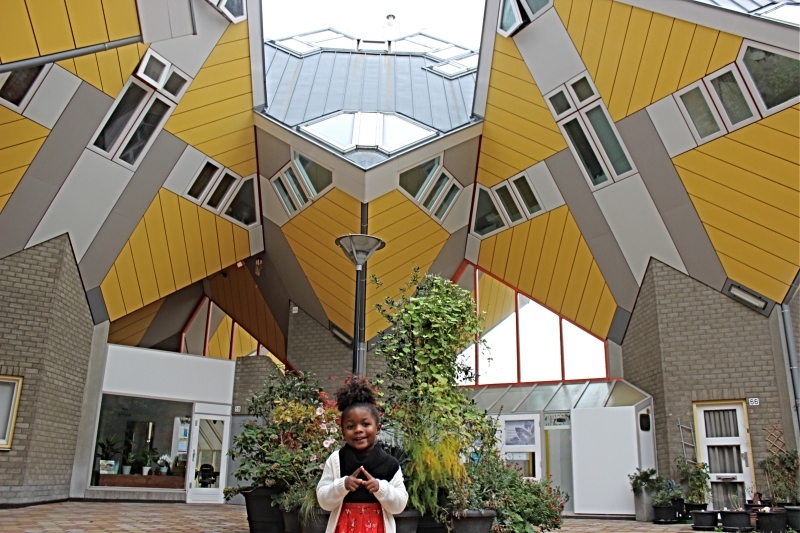 It’s the most modern city in the Netherlands. This is because the city was completely destroyed in 1940 when Germany bombed Rotterdam and the city was flattened. Visit the cube houses or walk across Erasmus Bridge, either way I’m sure you will fall in love. 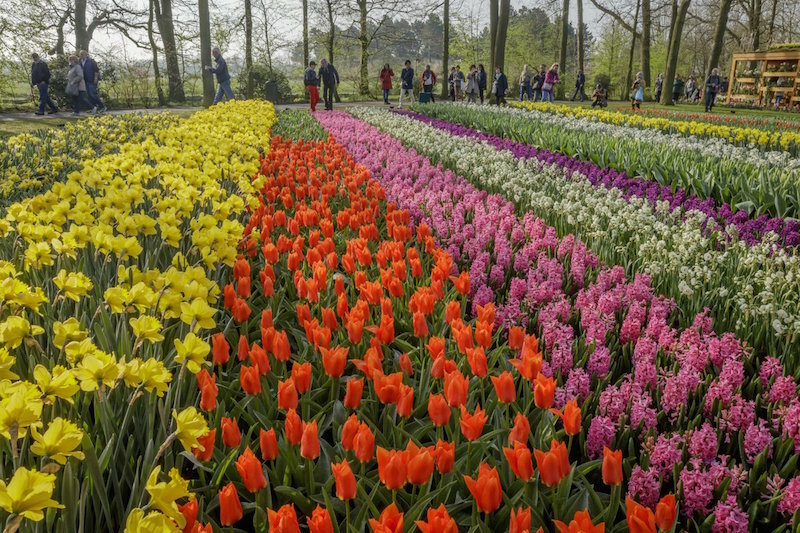 If you are visiting Amsterdam during the spring (mid March to mid May) it is absolutely worth the 1hr train ride to see the beautiful tulip garden of Keukenhof. There are over 800 types of tulips in bloom each year. It makes a great family adventure as the garden has a treasure hunt, maze, play ground and petting farm. These 4 day trips from Amsterdam are a great way to see the Netherlands. Europe is very easy to travel by train and if you’re up for exploring nearby countries it’s also affordable. From Amsterdam, Paris and Brussels are very quick day or overnight trips. So get out and explore some day trips from Amsterdam. Found this article helpful? Please share it!